Hundreds of thousands of Iranians marched and some burned U.S. flags on Monday to mark the 40th anniversary of the triumph of Ayatollah Ruhollah Khomeini, the Shia cleric who toppled the Shah in an Islamic Revolution that rattles the West to this day. On Feb 11, 1979, Iran's army declared its neutrality, paving the way for the collapse of the Shah Mohammad Reza Pahlavi, the United States's closest ally in the Middle East. 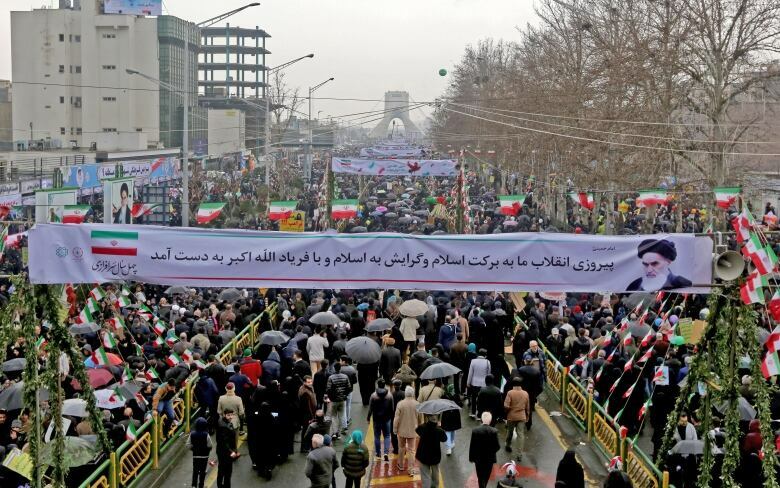 State TV showed large crowds defying frigid weather and carrying Iranian flags while chanting "Death to Israel, Death to America," trademark chants of the revolution. U.S. President Donald Trump pulled out of Iran's 2015 nuclear deal with world powers last year and reimposed sanctions on Tehran, dealing a blow to the country's economy. 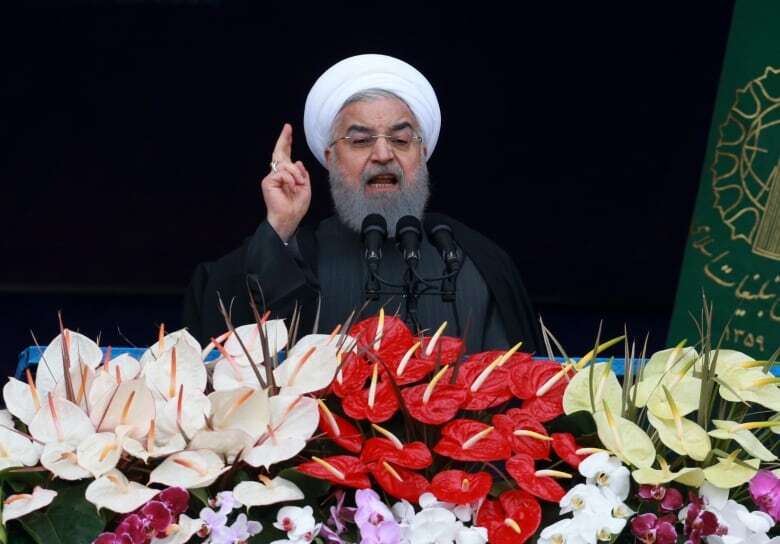 Iranian officials said the move amounted to "economic warfare"
In a speech at Tehran's Azadi square, President Hassan Rouhani dismissed U.S. efforts to isolate Iran, saying U.S. sanctions could not break the Islamic Republic. "We will not let America become victorious – Iranian people have and will have some economic difficulties, but we will overcome the problems by helping each other," he said in a speech. The United States and its Arab allies have viewed Iran with great suspicion since the Islamic Revolution swept the Shah from power in 1979, fearing Khomeini's radical ideology would inspire Islamic militants across the Middle East. Today, Iran enjoys influence through proxies in Iraq, Syria, Lebanon and Yemen, raising concerns in Sunni Saudi Arabia, which accuses its rival of trying to dominate the Middle East. Tehran denies the allegations. A senior commander in Iran's Revolutionary Guards said Tehran would not withdraw its forces from the region, dismissing U.S. calls that Iranian regional influence should be curbed. "The enemy cannot ask us to leave the region. They must leave the region," said Brig.-Gen. Hossein Salami, deputy head of Iran's Revolutionary Guards. "We will help any Muslim anywhere in the world." 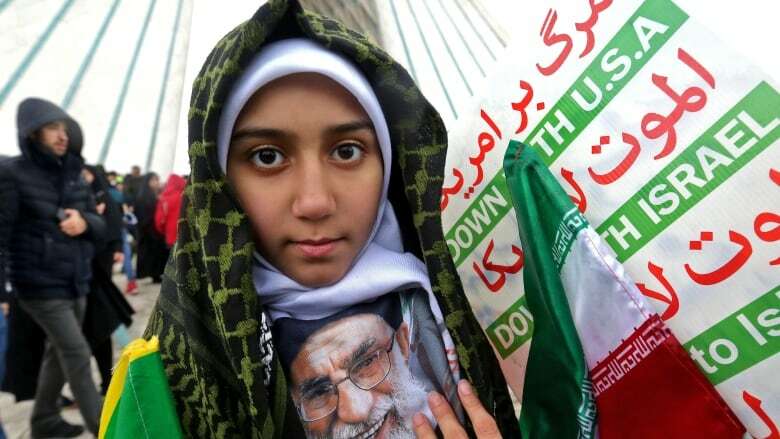 Soldiers, students, clerics and black-clad women holding small children flocked to the streets of cities and towns, many carrying portraits of Khomeini and Iran's current supreme leader, Ayatollah Ali Khamenei.